Australian symphony orchestras only rarely premiere new work. The West Australian Symphony Orchestra‘s premiere of Lachlan Skipworth’s Hinterland was therefore an anticipated and revealing event. Australia’s orchestras are conservative in the precise meaning of the term: their aim is to conserve a musical tradition which began in 17th century Europe and which arguably reached its apotheosis at the start of the 20th century. This does not imply slavish reproduction, but rather an alternative definition of modernism where progress is defined less in terms of radical new discoveries and more in terms of reworking known forms into new configurations. Employing these criteria, Skipworth’s Hinterland was a triumph. It is a rousing, fundamentally neo-romantic work. Melodramatic, rhythmically strong crescendos and rattling bass kettle drum moments define its structural units, this kind of material bookending both the first movement, and then exploding out in the finale. The WASO’s placement of this premiere alongside Antonin Dvořák’s Symphony No 9 From the New World (1893) and Edvard Grieg’s Piano Concerto in A minor (1868) was instructive in this sense because, despite popular terminology, WASO and its peers are less committed to properly Classical composition, and instead tend to highlight the emotionally rousing approach which the Romantics developed in 19th century Europe. Perhaps unsurprisingly therefore, quite a bit of Hinterland feels rather like one of John William’s works (Star Wars, etc), a composer well known for producing a modern, digestible form of neo-romanticism. Skipworth’s materials are a bit darker, and certainly there is a tendency to dwell in the deeper tones of the orchestra more than what Williams’ lighter touch tends towards, but there is a clearly shared approach to blending between the two. Hinterland is basically a three part work. It starts dirgy and heavy with massed strings and ends in much the same place only much more aggressively and powerfully. As Skipworth puts it, the “dense chordal mass of the opening returns to build a powerful climactic peak.” For those such as myself, who dream of finding the radical potential of that wonderfully conservative machine that is the orchestra, I did find some such elements in the interregnum. Hinterland is essentially a piece of what was once called “program music”: material designed to evoke a narrative about how the landscape changes over time. The middle section relates how “shimmering strings capture sparks of [morning] sunlight in shallow rock pools.” Because of this, there is true attention to not just rhythm and harmony, but sound qua sound. The sharp clack of the rocks briefly used by the percussionists, the rich, colouristic quality of the horn peals, and other gestures, come out here and rest in their own sonic world. The audience is encouraged to listen and attend to the specificity of these modest, subtle but wonderfully beautiful acoustic events. For those such as myself whose allegiance lies more with Morton Feldman and Xanis Xenakis than John Williams or Georges Bizet (whose work is also evoked here), it was deeply disappointing that the most exciting element of this performance came across as little more than a diversion from the true melodramatic focus of this neo-romantic work. 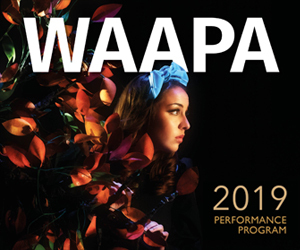 Still, of course, different strokes for different folks, and while the WASO certainly could have used a lighter touch, Skipworth’s challenge for the performers was well handled. Much the same was true of the program overall. Pianist Andrey Gugnin played Grieg’s extremely varied and at times fiendishly complex Piano Concerto from memory, ably supported by the orchestra. For my taste, the final solo piano section is by far the most interesting, the harmonic richness of the rest of the work here constrained into a very jazzy, finger-plucked section that sits well amongst piano works of the late twentieth century. Dvořák’s New World symphony concluded the program in a commemoration of the foundation of WASO, which began with a performance of this piece in 1928. Dvořák’s composition is an intensely interesting one which I do not know well. It is at times sparse, with a real sense of urban drive, recalling what America once represented to nineteenth century Europe: the “New World.” There are hints of (now considered ill-informed) attempts to evoke American Native chants (taken from unreliable sources of white American poetry about Hiawatha), of folk-like music (Dvořák’s own speciality in his native Czechoslovakia), of calmed and modified jazz and African-American music, as well as the sweeping Romantic motifs that tended to define music of the period as a whole. Dvořák apparently found the US both scary and bracing, and the music certainly evokes this. There was a sense that WASO was if anything too Romantic in its interpretation. Having hit the crescendos and crashing strings so early, it was not clear where the orchestra had to go when it came to the finale. But then to some degree this is the point of such music. It is composition with the volume turned up to 11 out of 10 (to quote Spinal Tap). The aim is for an ever more overwhelming explosion of musical force and its corresponding affective impact. If the concert was not quite able to deliver here, this was, I would suggest, at least as much a consequence of the musicological bombast which WASO bravely broached as it was that of the performers. Skipworth’s own contribution then can only be read as a canny compromise. He neither rejects these musical approaches, nor does he slavishly devote himself to them. I look forward to his next endeavour. 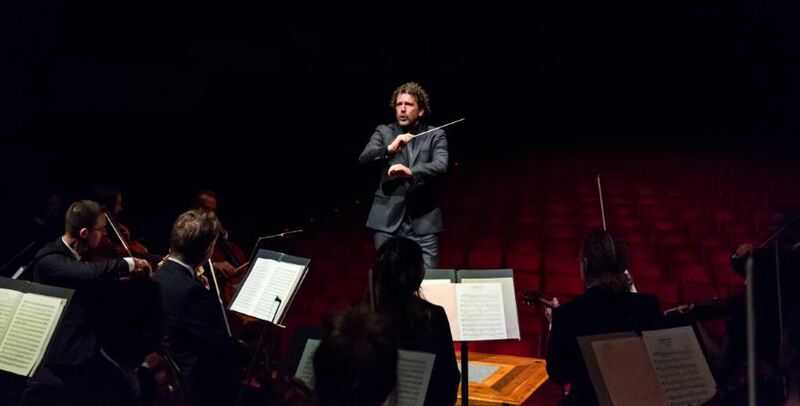 Pictured top: Asher Fisch conducts the WA Symphony Orchestra.